I’m currently spending most of my time explaining to students, hobbyists, professional developers and teachers how to build games using HTML5. I then recently thought: rather than keeping all these details for small audiences, wouldn’t it be smarter to structure all I know to share it inside a post on my blog? This article is then based on my own experience. I will probably omit some crucial things some of you may know. But it will try to update this blog post along with my own new discovers and of course based on the feedbacks you will kindly provide in the comments or via Twitter. But why are so many people currently interested in HTML5 Gaming? Well, simply because today, we can really use HTML5 to target multi-platforms using the same code: for desktop machines of course (with IE9/IE10, Firefox, Chrome, Opera & Safari), for iOS & Android tablets & phones and Windows 8, and its future associated millions of tablets & PC, is also warmly welcoming HTML5 Games! I then frequently see some HTML5 gaming projects ported to each of these platforms with almost no effort. Note: we will only talk about the <canvas> tag of HTML5 and about SVG in this article. Once you will have reviewed all this content, you will probably better understand why almost all HTML5 games are using Canvas rather than SVG. Canvas offers a well-known development model for games developers (low level drawing APIs) and is now very well hardware-accelerated by most of the recent browsers. Still SVG, and its vectors-based technology, is naturally better armed to scale across devices without loosing quality. You just need to use the magic ViewBox property of SVG which will handle that for you. Your games assets will then scale from 3 to 80’’ screens in a very easy way! But nothing prevents you from mixing both technologies. Indeed, we could perfectly imagine using a first layer based on SVG to display the game menus with a second layer in background using a canvas for the game itself. You will then use what we call the browser compositing engine. However, you must pay some real attentions to final performance results because the browsers & devices are far from being equals in this domain. Don’t forget that the main interest of HTML5 is to target all platforms. Writing the XML nodes of SVG manually or even playing with the low level APIs of Canvas could be fun for a moment but not very productive. Here is then a useful set of tools & libraries I like that could help you building parts of your HTML5 game. Note: we can also combine all of these graphics effects with the usage of CSS3 2D & 3D Transforms coupled with transitions or animations in your game. But I’ve decided to stay focused on Canvas & SVG in this article. You will need to write code working fine inside IE10 & Windows 8 as well as with the implementation coming from the Apple devices. If you’d like to discover our pointer events approach, submitted to the W3C as a specification, please read this article: Unifying touch and mouse: how Pointer Events will make cross-browsers touch support easy . You will also discover some patterns to fallback to mouse and/or support both touch models in parallel. But the best way to support all touch models is probably to target the pointer events one and use polyfill to propagate to other platforms’ versions. Boris Smus has started working on his side on a library named Pointer.js. The idea is to consolidate all types of touch (IE10, iOS like, mouse and pen) to simplify your developer life. You can read his article about that here: Generalized input on the cross-device web . On our side, in France, David Catuhe has also written a very cool & efficient polyfill library named HandJS: HandJS a polyfill for supporting pointer events on every browser . If you’re building HTML5 game, read the companion this companion article: Creating an universal virtual touch joystick working for all Touch models thanks to Hand.JS that shows how to use HandJS to target IE10 on Windows 7/8/RT, Windows Phone 8 as well as iOS/Android & FirefoxOS devices! Put one of your finger on the left part of the black frame, a virtual joystick will appear to let you controlling the space ship. Put your fingers on the right side to fire some bullets. 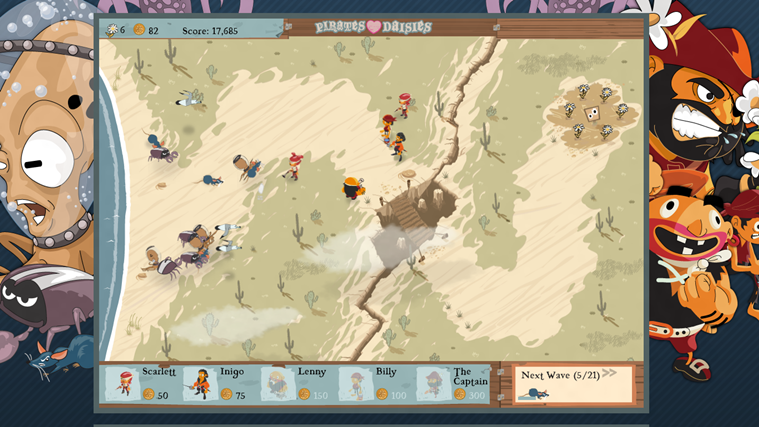 Otherwise, you will only be able to move the ship using your mouse by clicking on the left of the screen or firing by clicking on the right side, but you won’t be able to achieve both actions simultaneously. Indeed, HandJS is providing a mouse fallback if the browser or platform doesn’t support touch. Last but not least: this demo works fine in IE10 versions as well as on iOS/Android & FirefoxOS devices! If you’d like to know more on how it works, please have a look to the associated article. If you’d like to build multiplayers games or simply a connected game to a server for any reason, you’ll be naturally interested by using WebSockets. This W3C specification (and the underlying protocol handled by the IETF) is indeed stable enough to start to be used in production. But if you’d like to support the widest possible number of users, you need to consider a fallback for browsers or devices which weren’t supporting WebSockets yet or were supporting an older deprecated version. Well, we could even dream of solutions automatically falling back to older method of pooling or long pooling for browsers like IE9 and offering Web Sockets to more recent browsers like IE10. And yes, could it be possible also to have a unique code handling that? Both libraries will help you to handle all the browsers & devices with their variety of support levels. 1 – Handling your sprites: splitting them into a sequence, animating them, effects, etc. 4 – Building a collision engine, a high level logic for your game objects, etc. Well, you can either do that starting from scratch or you can test & review what other brilliant developers have already done on the web. I’ll definitely advice you the second option as the JS gaming frameworks start to be really mature and tested inside games in production. – MelonJS : a free framework that exposes a lot of useful services. His big advantage is that it works fine with the Tiled Map Editor tool. – ImpactJS : a high quality well-known framework. It’s not free but not too much expensive. – EaselJS : my favorite one ! Written by an old flash developer. So if you have written some games in Flash, you should feel at home with this framework. It’s part of the CreateJS suite. It’s very complete, well documented and… free. So, you should now be warn. As EaselJS is the framework I know the most, I won’t be impartial. It’s up to you to test the other one and make your own opinion. – Tutorial: how to create HTML5 applications on Windows Phone thanks to PhoneGap where I’ll show you how to port the same game on Windows Phone thanks to PhoneGap/Cordova. But you will be able to follow the same instructions for your Android or iOS device. – Modernizing your HTML5 Canvas games Part 2: Offline API, Drag’n’drop & File API where we will enable playing to the game in offline mode. You will be even able to create your own levels and drag’n’drop them directly into the game. Well, logically, thanks to these 6 tutorials, you should be able to write your own HTML5 game whatever the browser or device you’re targeting. You’ll find also a lot of simple demo to understand and great tutorials on the EaselJS website: http://www.createjs.com/#!/EaselJS as well as on each frameworks’ website mentioned above. To conclude, I’d like to recommend you 2 more “advanced” articles but very instructive to read. 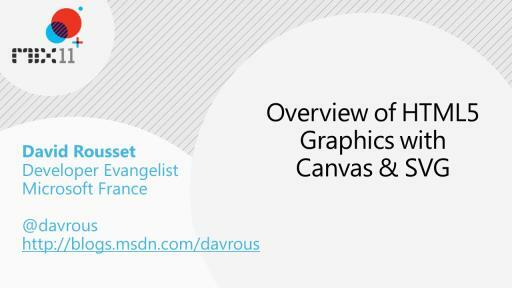 The first one is written by David Catuhe from Microsoft: Unleash the power of HTML 5 Canvas for gaming . He will share with you some optimization he has found while working on a “demo” like the one we were writing in the “demo scene”. The tips found could bring you some ideas for your own HTML5 games. The second one is written again by Boris Smus from Google: Improving HTML5 Canvas Performance and it contains ton of good advices. Again, this is my personal favorites. You will probably find other cool examples on the web to share. Whatever the game you’ll like, it is interesting to analyze how the developers made them. Thanks to the magic of the web, you just have to right-click & “view source”. Even if the code will be probably minified, you can still learn a couple of interesting things by looking at the global architecture of the game. Grant has started his EaselJS framework while building this HTML5 game. 4 – Build some High Resolution assets (1366×768 & 1920×1080) to propose the best experience for all the incoming Windows 8 tablets & PC. 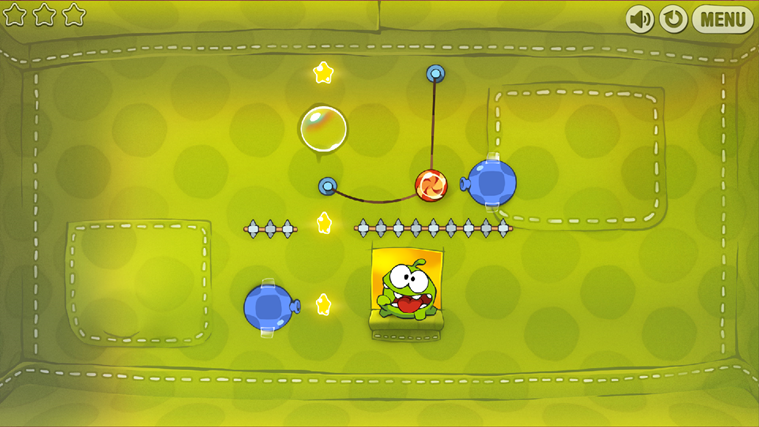 I also love the story around “Cut The Rope”. It’s very interesting to read. This was a successful game written in Objective-C for the Apple iOS devices. It was ported into HTML5/Canvas and the developers who made this detail their feedback in this article: Cut The Rope – Behind the scenes . Have a look, you’ll probably learn some interesting points. I now hope that all these resources will help you to build your own HTML5 game. If you’re doing so and/or if you have any suggestions to provide on good frameworks/tutorials/concepts you’d like to share, please add a comment to this article! – is there a better wa to manage Collisions like using Texture area in XNA? – Do you have an example using box 2d for collision? @Fritz: now I'm wondering how PhoneGap deals with the Canvas & WebGL. I'm very skeptic about how good they can do this for AAALL of those devices. Hi David. I am trying to watch the Canvas VS SVG video above but, I am having no luck. Do you think this is an issue on my end? I am using Win8 with Chrome.